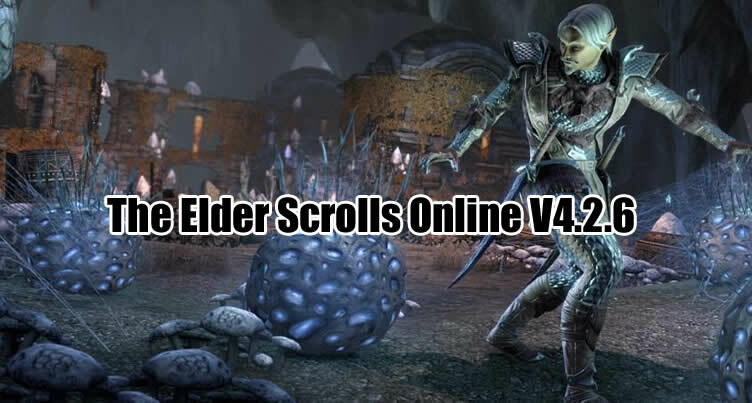 Recently, a number of abilities and itemization difficulties in Blackrose Prison have been fixed in The Elder Scrolls Online v4.2.6, in addition to some higher impact combat fixes which includes pets taking too much harm from particular attacks, single-target cast time skills canceling the cast straight away and more. Here are the full 4.2.6 patch notes you need to know. Additionally, visit ESO-Gold.com for some Cheap Elder Scrolls Gold when you lack them. The target completion time for Blackrose Prison is now correctly set at 40 minutes as originally intended, as opposed to 30 minutes. Resurrected Prisoners will now do less harm with Uppercut and Shock Aura on Regular difficulty. Drakeeh's Negate Magic capability can no longer be interrupted. The Vengeful Revenant's Soul Rupture and Soul Cage abilities will no longer quickly total, as a result, undertaking harm, must the Vengeful Revenant be killed although casting them. Zhaj'hassa the Forgotten's Slithering Darkness capacity will no longer look like a spoopy, headless Breton. Grothdarr's Burning Hate ability must no longer look like a spoopy, headless Breton on fire. Fixed a typo in the achievement previously referred to as Fiendish Fauna. It's going to now be referred to as Fiendish Flora, since Trap Plants are plants, as their name so coyly suggests. Fixed an issue where Murkmire's Foul Water Trophy fish had been unable to be caught. Catching the Spotted Seatrout now properly offers credit towards the Murkmire Master Angler achievement. Fixed an issue exactly where finishing Blackrose Prison would in some cases grant you two one-handed weapons for the Gallant Charge item set, or a one-hander from every single with the Gallant Charge and Spectral Cloak item sets. Now, whenever you get a weapon in the Gallant Charge item set, you might often acquire a shield within the Gallant Charge set with it also; whenever you acquire a weapon from the Spectral Cloak item set, you'll generally acquire a second weapon in the Spectral Cloak set with it, too. The Weight of Words: You will now be capable of gather Tablet of your Void Fragments in any order without having being blocked from progressing. Fixed a problem exactly where each of the Dual Wield weapon enchantments was proccing from a single damage from Light Attack, Heavy Attack, or Weapon Capability. Developer Comment: Skills that deal harm various times with a single cast, including Flurry which has 5 hits or Twin Slashes which has two direct harm hits and various harm more than time ticks, can proc both of one's weapon enchantments more than those hits. But every isolated instance of harm really should only have the ability to proc 1 weapon enchantment at a time. Fixed a problem where single-target cast time abilities, for instance, Uppercut or Dark Flare, would cancel the cast right away in case you did not retain your target inside your reticle in the course of the complete cast time. Developer Comment: We under no circumstances intended to change single-target cast time abilities within this way; this was caused by an unrelated bug fix within the preceding patch. Player pets will now take 85% much less harm from all Location of Effect and Damage over Time attacks. They are going to continue to take 100% less harm from all attacks in group dungeons, trials, and arenas. Fixed a problem that was causing the Blade of Woe capability to not function especially on the Mac game client. Dead-Water's Guile: Fixed a problem exactly where this item set would only proc after you got the killing blow on an enemy, and not when that enemy died within two seconds of you damaging them. Soldier of Anguish: Fixed an issue where this item set would proc on any melee attack rather of only melee Light Attacks. Fixed a hole identified under Alessia Bridge. Improved the collision to greater match the several Imperial Bridge Property destruction states. Fixed an issue introduced in Update 20 that made working with intractable furnishings much less reliable. Fixed an issue that would result in the client to lock up when making use of Alt + Tab. Fixed an issue that was causing the window to appear all black when going to windowed mode from the complete screen windowed mode. Fixed a problem that made it tricky to pickpocket NPCs. Fixed an issue where Guild Traders occasionally wouldn't display the related Guild in their nameplate. Fixed a UI error that could happen when zooming around the map.